Kick off your visit on the 24th (Fri): enjoy the sand and surf at Grand Anse and then stroll through Petite Anse. On the next day, kick back and relax at Anse Source D'Argent and then kick back and relax at Anse Coco Beach. For photos, more things to do, traveler tips, and tourist information, go to the La Digue Island custom trip planner. Rome, Italy to La Digue Island is an approximately 20.5-hour flight. You'll lose 3 hours traveling from Rome to La Digue Island due to the time zone difference. Plan for much hotter temperatures traveling from Rome in February, with highs in La Digue Island at 35°C and lows at 30°C. Cap off your sightseeing on the 26th (Sun) early enough to catch the ferry to Praslin Island. 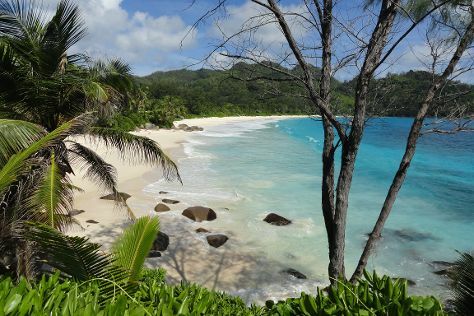 Praslin Island is known for beaches, nature, adventure, fun & games, and museums. Your plan includes some of its best attractions: head off the coast to Curieuse Island, enjoy the sand and surf at Anse Volbert, take a peaceful walk through Vallee de Mai Nature Reserve, and take in the exciting artwork at Rita's Art Sudio & Gallery. 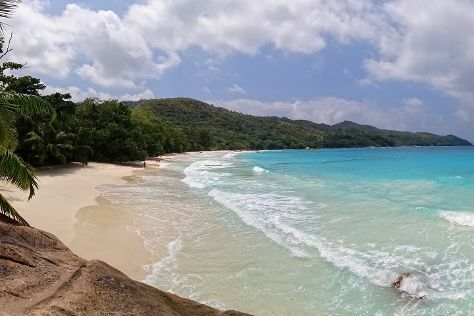 For where to stay, ratings, more things to do, and other tourist information, read Praslin Island trip generator. 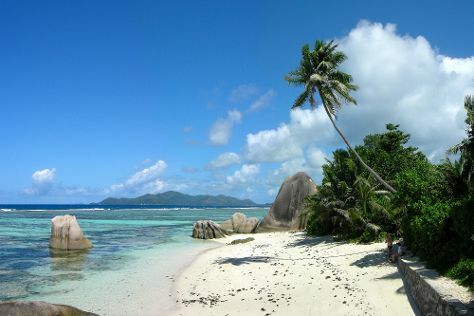 Praslin Island is just a short distance from La Digue Island. In February, daytime highs in Praslin Island are 35°C, while nighttime lows are 30°C. Finish your sightseeing early on the 1st (Wed) so you can travel to Mahe Island. Mahe Island, the largest in its archipelago, serves as a buzzing tourism hub, teeming with resorts, picturesque beaches, and verdant forest trails. Step out of Mahe Island with an excursion to Beau Vallon Beach in Beau Vallon--about 32 minutes away. The adventure continues: enjoy the sand and surf at Anse Intendance, don't miss a visit to Victoria Market, look for gifts at Tea Factory, and contemplate the long history of Clock Tower. For more things to do, traveler tips, ratings, and more tourist information, refer to the Mahe Island tour planner. Do a combination of flight and car from Praslin Island to Mahe Island in an hour. Alternatively, you can ride a ferry. In March in Mahe Island, expect temperatures between 36°C during the day and 30°C at night. Finish your sightseeing early on the 3rd (Fri) so you can travel back home.